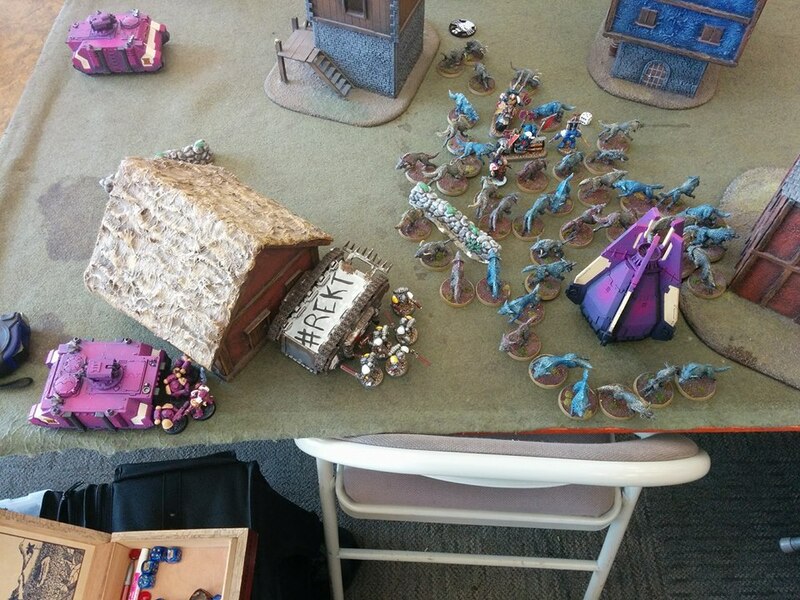 Hello everybody, SaltyJohn here, and welcome back for a my roundup of day 2 at the Hammer of Wrath GT at Game Empire in Pasadena, California. It was a 2 day, 58 player ITC event, and it grew quite a bit from it’s inaugural year in 2015 and has continued to see a high density of great players attend. This year we had a few long distance travelers including from Hawaii. If you want to know how day 1 went for me you can check that out here, and you can find all kinds of pictures from my various games on the SaltyJohn Facebook page. Final standings can be found on Best Coast Pairings, I’ll run down the prizes at the end of the article as well. 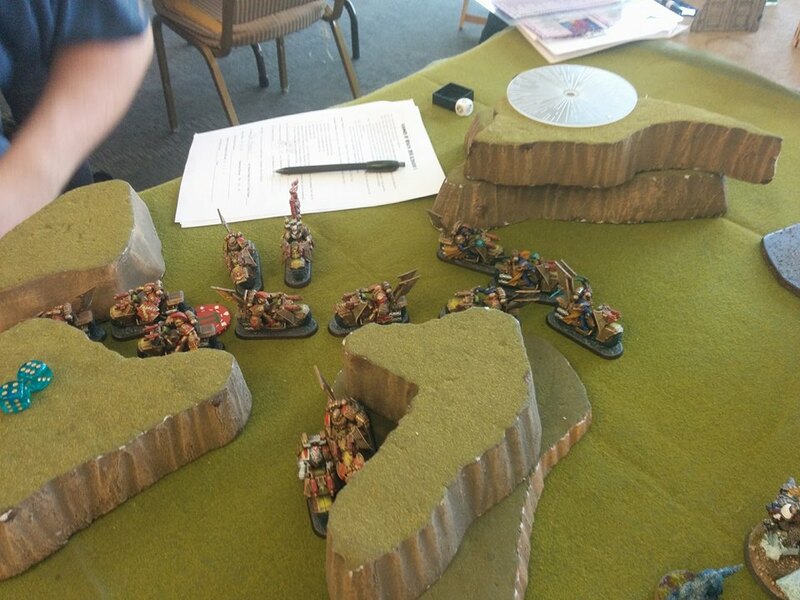 Day 2 Round 4 began with me facing the Wolftides worst matchup, Battle Company. Battle Company is a great counter to Death Star lists. For my version of Wolftide, the mismatch isn’t quite as bad because I have two Death Stars, one of which packs a load of Strength 10 and Furious Charging Wolfkin for a veritable ton of str 5 attacks to deal with all those AV 11/10 transports and T4 marines. The real challenge of playing Wolfitde against Battle Company, or any Death Star really, is the sheer number of units (note: not models) that are Objective Secured that the Star(s) have to eat through in order to win the game. Only in Purge the Alien is this not a mismatch of epic proportions. My opponent was an amazing guy named Thomas who made this game my best of the weekend hands down. It was easily one of the most enjoyable games I’ve played in the last year. 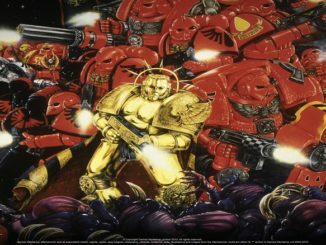 Thomas, besides being a great sportsman, was piloting a White Scars BC with bike command star with Conclave. He knew his stuff and played the game to the missions like a fiddle. Even with the huge mismatch, I was able to stay in it until the end. The game ended naturally on turn 6 with Thomas ahead in Maelstroms by only a single point, but I couldn’t overcome his large number of Objective Secured units to claim enough of the objectives for the primary. I was now 2-2 going into the final round with a fiery determination to make sure that I meet my best showing at a GT ever, maintain a winning record, and do better than HoW last year by finishing 3-2. Round 5 saw me paired up against another Space Marine player. I was certain it would be Battle Company two rounds in a row! Instead I faced off against a Iron Hands Bike Star list. 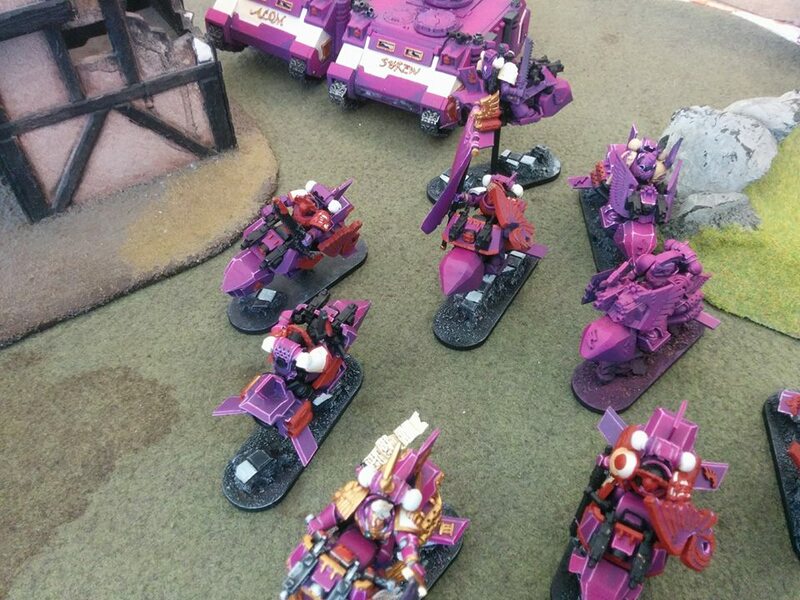 2 Chapter Masters on bikes, one with Shield Eternal, one Gorgons Chain, a Command Squad, Librarius Conclave on Bikes and a ton of fists and shields in the unit, a really scary unit. A quintessential eggs in one basket death star. The list also had another Bike command squad, a squad of regular bikes and two scout squads. It ended up being a battle based on two things, positioning of the 3 stars, his and my two, and Psychic shenanigans. 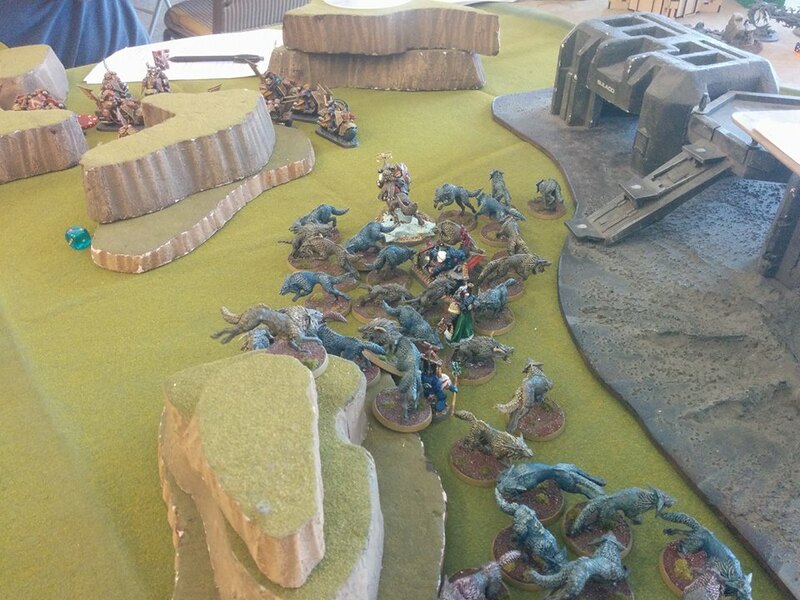 This game saw the Wolftide get worn down to a single Fenrisian Wolf after 4 rounds of close combat. His strategy was sound throughout the match. He tried to deny my key Psychic powers and use Null Zone to weaken my Invulnerable saves. Unfortunately two death stars, one packing a load of Strength 10 and Null Zone also, was too much for him to overcome. I held my Thunderstar plus 3 bike librarians out of charge range from him until my Wolftide had dealt with the 2 “regular” bike squads and done some damage to his big death star. Then I came in with the Strength 10 Thunderstar after denying his try at Endurance, so no Eternal Warrior on the non-CM models, and successfully casting Null Zone. 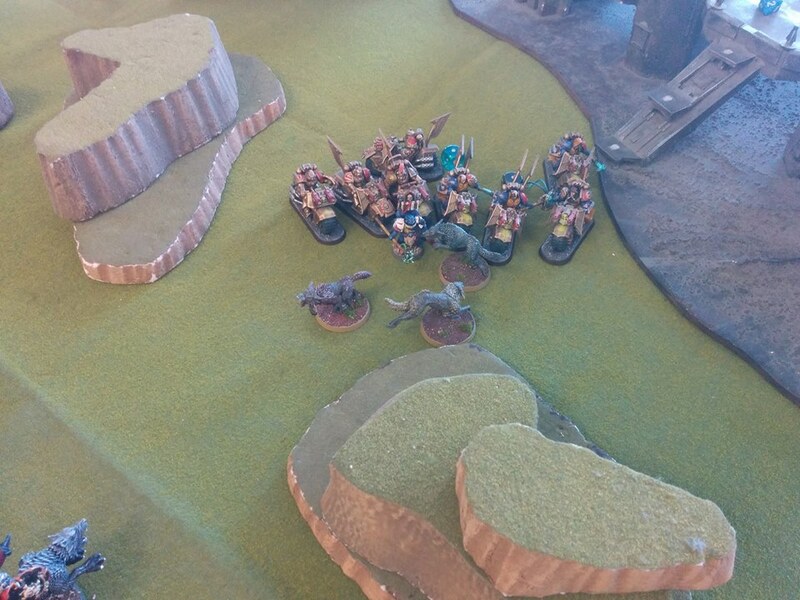 The single charge with 15 Strength 10 and 9 strength 5 Force attacks finished off the unit in a single go. A really fun game with the dueling conclaves and Death Stars. In the end I go 3-2 and I’m happy with a winning record. You can see my T-Wolves getting ready to say hello. The 2nd annual Hammer of Wrath was a great success. Credit for it goes almost solely to Travis from TFG Radio who organized, set up, and ran the event. He even organized a great dinner for many of the players from out of town on Saturday night. Brandon Grant repeated his spectacular performance from the Bay Area Open with the same list, again taking it to an undefeated first place finish! 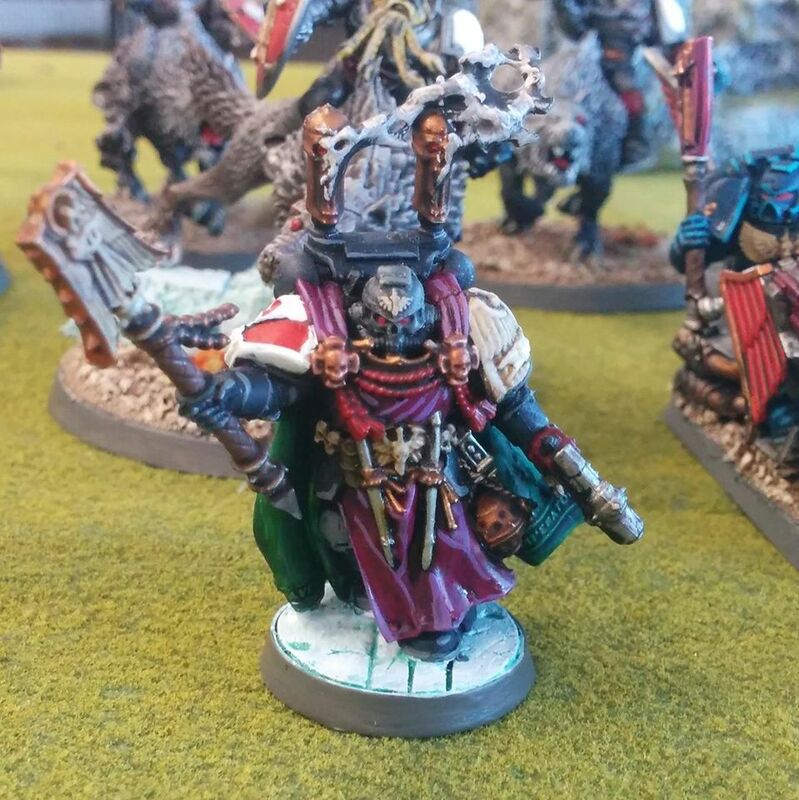 His Dark Angels list really is good because it is piloted by a very tactical, cerebral player like Brandon. I was discussing the list with a few of the guys over a couple beers the Saturday night, Sunday at Breakfast and Sunday at lunch. Every discussion was 100% unanimous that the list, while strong, is only a great list in the hands of a player like Brandon. I have the models to play that list, but if I played it, I fully admit I would not be taking it to the top table at GTs. That was the consensus of every player I discussed it with as well. Congratulations to Brandon on another great win, it is well deserved, my friend! Here is the list of prizes and winners. 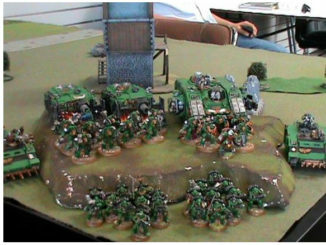 1st- Brandon Grant, Dark Angels. Best Army- Rich Kilton, Orks. If you can make it out to Pasadena for the Hammer of Wrath, it’s worth it. Space is limited but it has some stiff competition, great environment, and a load of good sports who will provide you with good games over the course of 5 rounds in 2 days! If you’re interested in pc gaming, GW games in particular, you can check me out on Twitch this Thursday night. I’ll be playing the new PC game Eisenhorn: Xenos. The game was written by Dan Abnett and follows the storyline of his great novel by the same name! 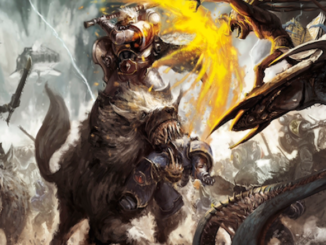 Come on by and watch live, we can discuss all things GW, 40k, and Eisenhorn. I loved those books! If you haven’t read them, you should! On Twitch I am onesaltyjohn. Thursday night around 8:30pm, I’ll post on the SaltyJohn FB page when I’m set to start the stream.